The OCT Scan of the retina and optic nerve is the most powerful diagnostic technology available for the retina and optic nerve for both optometrists and ophthalmologists alike. Having this technology allows us to truly provide the pinnacle of eyecare. We’ll be providing more information on this amazing technology soon! ● Available 1 hour Service: We stock most single vision lenses including premium lenses from Zeiss! ● Convenience: Sometimes you love the look of your glasses but can’t leave them for a week. No problem, you can bring in your frames when your lenses arrive. Wait times usually take about 30 minutes. ● Superior Finishes: We haven’t heard of anyone that polishes the edges for a nicer finish at no charge. 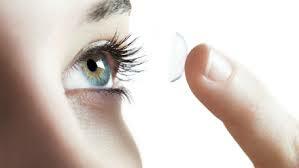 We automatically do this for all rimless and high prescriptions… no charge. 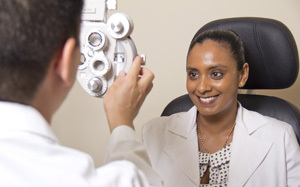 Our Optometrist will always try to find time perform an eye exam for emergencies. This includes, but is not limited to, painful red eyes, sudden light sensitivity, foreign body removals, sudden loss or decrease in vision, flashes and/or floaters. Please call for availability. Interested in Laser Corrective Surgery? Are you a candidate? What procedure will work best for your eyes? We’re happy to discuss your candidacy and answer all your questions. We have chosen to partner with TLC Laser Eye Center not because they have performed some of the most high profile patients such as Tiger Woods, but because they remain at the forefront of the technology always improving their procedures with the latest equipment and setting the standard for reliability and safety.